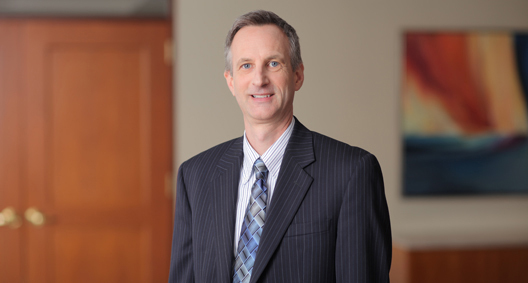 With more than 30 years of experience in commercial litigation, Chris Bator focuses on advising clients concerning insurance coverage issues and the resolution of coverage disputes. He is involved in the litigation, arbitration and mediation of insurance coverage disputes in state and federal forums. Chris has experience on both sides of insurance issues, having counseled and represented policyholders as well as insurance carriers, thus providing unique insight to his clients. Chris is certified as a specialist in insurance coverage law by the Ohio State Bar Association. Working to obtain full benefits under cyber loss and excess policies for an airline that suffered loss of income and other damages as a result of a computer system failure. Represented a captive carrier (domiciled outside the U.S.) of a U.S. corporation in various coverage disputes with reinsurers, including claims concerning damages arising out of alleged participation in a conspiracy in violation of U.S. and foreign laws, claims with reinsurers over substantial real and personal property damages, and claim for payment of a foreign tax liability. Defended a life insurance carrier in a lawsuit alleging breach of contract and fraud with respect to calculation of policy premiums. Obtained substantial insurance recovery for company that suffered loss of income due to hurricane damage. Obtained reimbursement under a liability policy for attorneys' fees and expenses incurred by a client in responding to and defending against a governmental criminal investigation. Obtained substantial recovery for a hospital under a crime loss policy for employee theft. Representing and providing coverage analysis to a mutual insurance company with respect to various claims made by policyholders sued for alleged violations of the Telephone Consumer Protection Act. Worked to obtain policy benefits for a large trucking company in class action lawsuits alleging racial discrimination. Company's insurance carrier had denied coverage for lawsuits based on the policy's prior-knowledge exclusion and other conditions and terms in the policy. Coverage dispute involved a “Bermuda Form” arbitration provision requiring arbitration to take place in London, England, pursuant to English procedural rules with application of New York substantive law. Although arbitration commenced, the matter settled in favor of the client. Acting as co-counsel representing and defending company administering the electronic toll program for San Francisco’s toll bridges in class action lawsuits challenging notification procedure for tolls and penalties and alleged privacy violations. Defended a company responsible for the placement and operation of red light traffic cameras in various class action litigations challenging the use of the cameras. Class action lawsuits were filed in Cleveland, Chicago, New York and Florida. "Beware of the "Bermuda Form" Arbitration Provision in a Commercial Liability Insurance Policy"